Ask yourself this – do I know someone who has been supported in the loss of a love one from the palliative care offered by Hospice of the Western Reserve? Maybe it was you, maybe it was your neighbor, maybe it was a co-worker. Many team members of Fiorilli Construction along with the President of the Company, Carmen have turned to Hospice of the Western Reserve for compassionate care and support during some of the most difficult times. In February 2016 Carmen Fiorilli lost his mother, Christine, to melanoma. Hospice of Medina County provided the most beloved care for Christine, while giving peace of mind to her entire family. These services, organizations, and employees sometimes do not get the recognition they deserve. This is why Carmen and the entire Fiorilli Construction Family decided on starting an annual charity golf outing to benefit the Western Reserve and give back to the community who will benefit for their services for years to come. We hope you will join us on September 18th at Fox Meadows Country Club for our first Annual Heroes for Hospice Charity Golf Outing. To make the event a complete success for our charity we are currently seeking golfer registration, sponsors and raffle item donations. 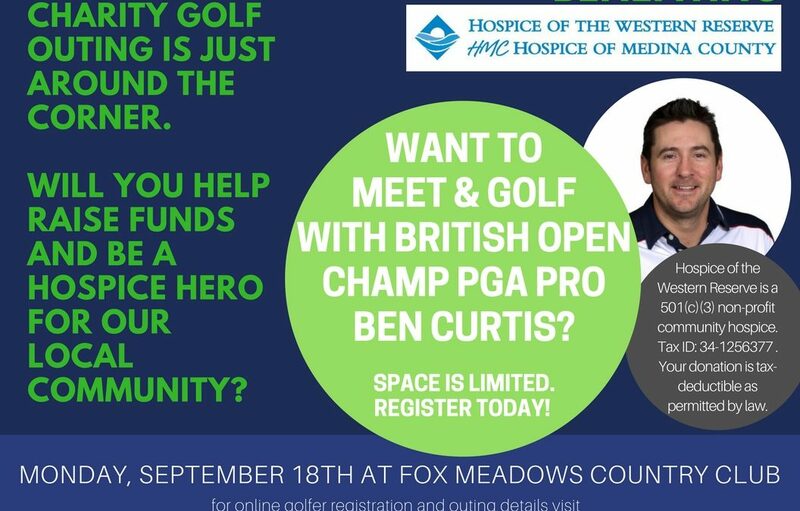 The ultimate goal is to raise funds for Hospice and to make the event a complete success PGA Professional and British Open Champion Ben Curtis will be on hand to meet and take photos will all golfers. The top sponsors for the event will receive a private golf clinic the morning of the outing. Prior to our shotgun start, we will have a live auction for Ben Curtis. The highest bidder will not only be helping out our charity, but Ben will join their foursome for the day. Do not miss out on this once in a lifetime opportunity! Visit https://birdeasepro.com/fiorilliconstruction for event details and registration. Hospice of the Western Reserve is a community-based 501(c)(3) non-profit hospice, tax id: 34-1256377. Your donation is tax-deductible as permitted by law.